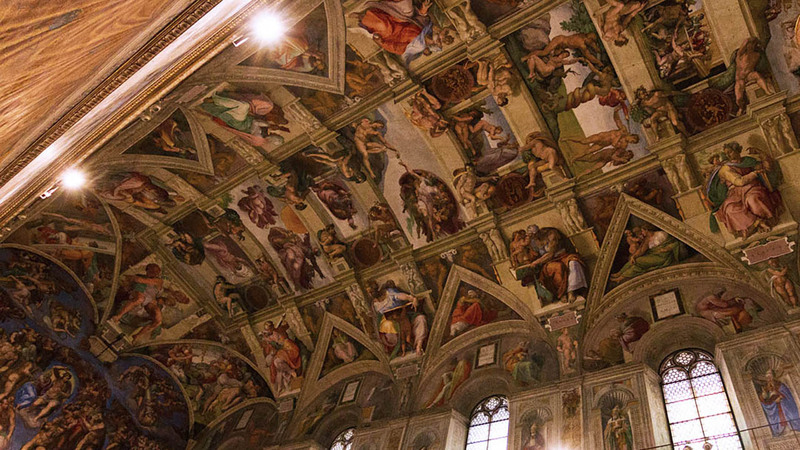 Experience the Vatican Museums and Sistine Chapel after hours, when the palaces are at their most peaceful. Visiting the Vatican by night, you’ll see the best of the museums – from the Sistine Chapel to the Raphael Rooms, sculpture galleries and beautiful courtyards. Our Vatican Night Tour runs during seasonal extended hours. With privileged entrance you’ll get straight inside (with no lines!) with small groups of 15 or fewer. Take advantage of special opening hours on this Vatican Night Tour. Although it happens every year, few visitors are aware of the Vatican Museums’ extended opening hours throughout the summer months, meaning you’ll share its galleries and apartments with only those in the know. 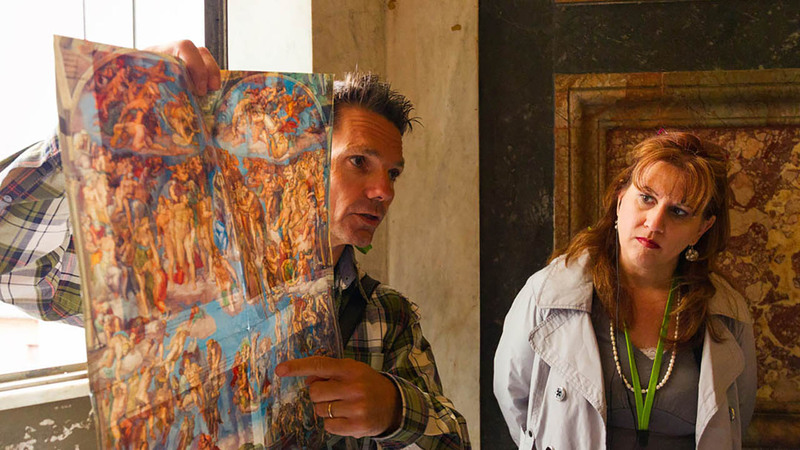 In echoing, elaborate halls and galleries, your expert Vatican guide will bring the Church’s fascinating history to life — from St. Peter’s martyrdom to the modern Vatican City. 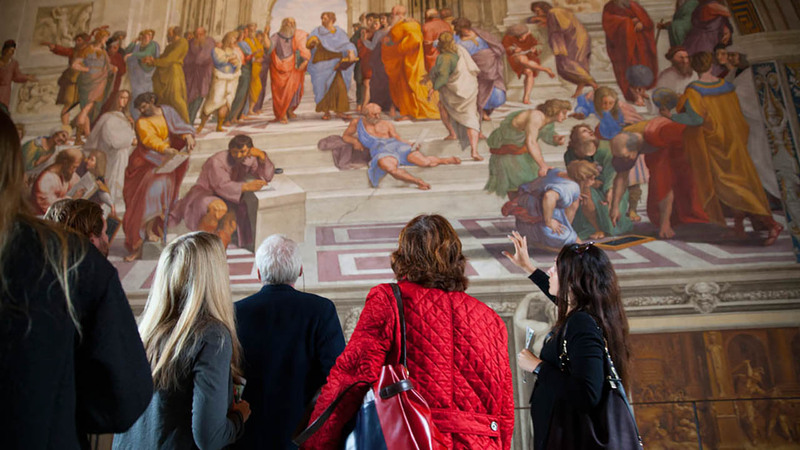 During your tour, your guide will take you to see some of the finest ancient sculptures and Renaissance art in the world, including Raphael’s ‘School of Athens’, the Hellenistic ‘Laocoön’, and the beautiful ‘Belvedere Torso’, a stunning sculpture that shaped a young Michelangelo’s own work. Enjoy the ability to go right up to these world-famous pieces, a major perk of visiting the Vatican at night and with minimal crowds! 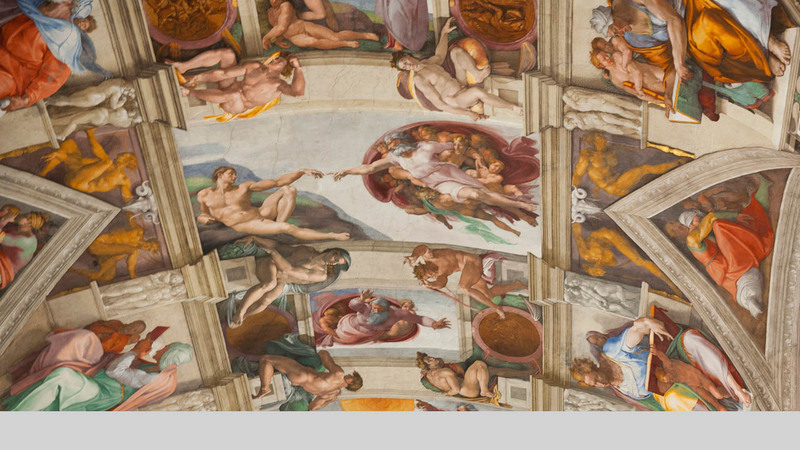 The pièce-de-resistance of your experience, of course, is the Sistine Chapel, the private chapel of the Pope. In the evening light and with fewer tourist hordes, you’ll find it easier to pick out the details in Michelangelo’s famous frescoes. You’ll be well prepared to appreciate these works, having spent time with your expert Walks guide, listening to the stories and secrets hidden within the art. Since your group is a maximum of just 15 people, you’ll have plenty of time to get all of your questions answered. A good thing too, since we’ve spent years building the perfect team of Vatican guides, choosing the best art historians, architecture buffs and storytellers. Experience the Vatican Museums and Sistine Chapel outside of the stifling heat of the Roman summer on our limited edition Vatican Night Tour, offering you a rare view of the papal palaces after bedtime. Please note that, since the chapel is at the end of the Vatican visit, it is sufficient to bring extra coverings with you and put them on before our entrancePlease note that St. Peter’s Basilica is closed at the time of this tour and therefore cannot be visited on this tour, nor can access be provided from the Sistine Chapel, as it can on other tours. 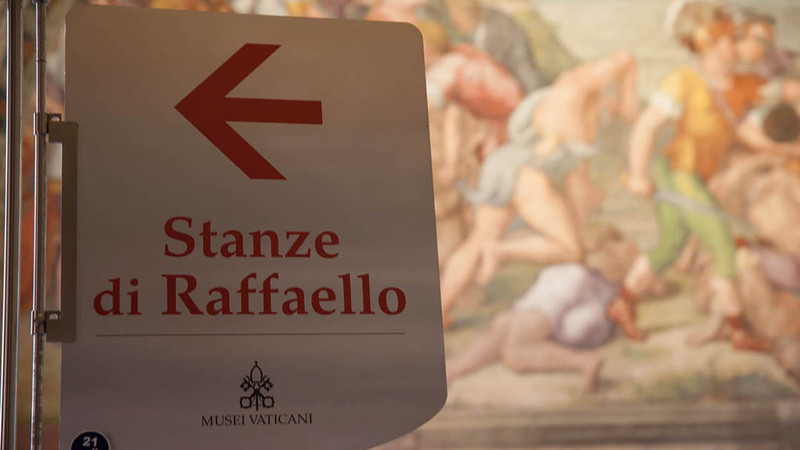 For details of what you may and may not bring inside the Vatican Musuems (you may not, for example, carry backpacks), click here. Guests who do bring these items will be required to leave them in the Vatican cloakroom and will be responsible for collecting them at the end of the tour.